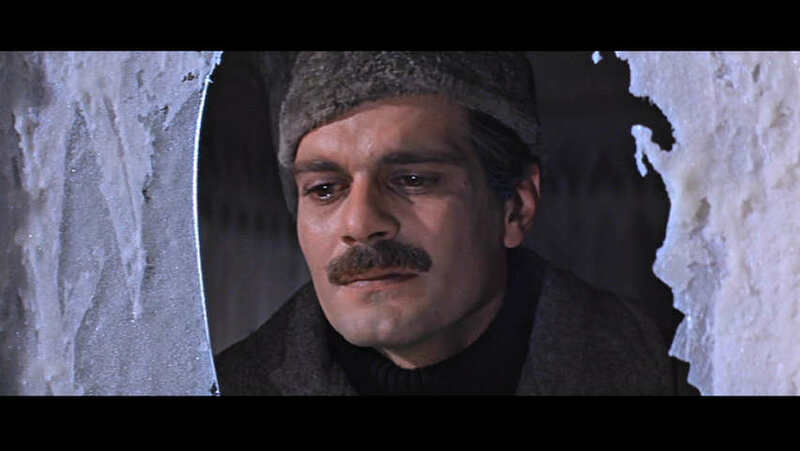 I don't know what I expected from Doctor Zhivago (1965), but it certainly wasn't this magnificent film. The word epic hardly covers the scope and depth of the movie. 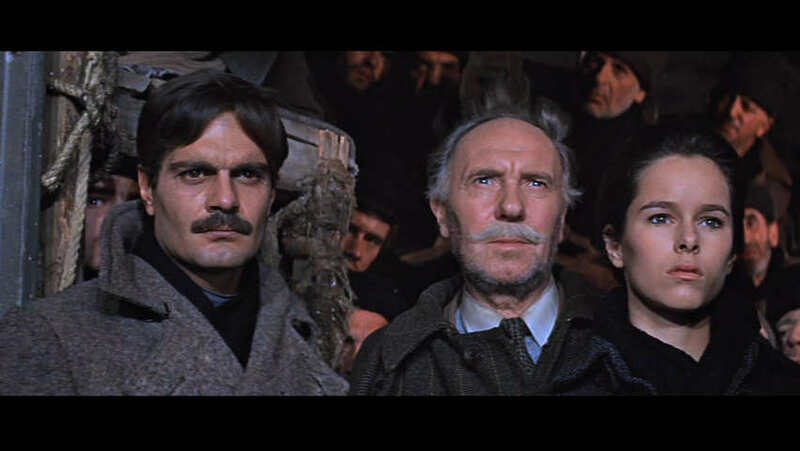 The one anachronism I had to get over quickly was the entire cast having English accents while performing Russian characters. 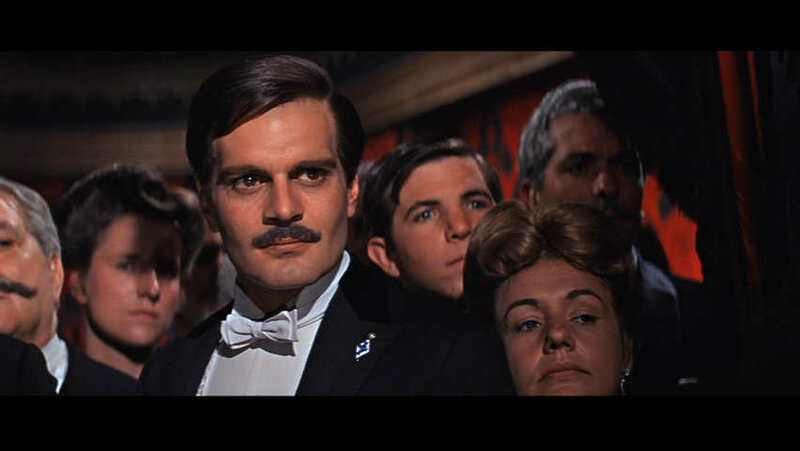 Once I accepted that, I could revel in the splendid performances of Omar Sharif, Julie Christie, Geraldine Chaplin (daughter of Charlie Chaplin), Rod Steiger, Ralph Richardson, Alec Guinness, and Tom Courtenay (among others). 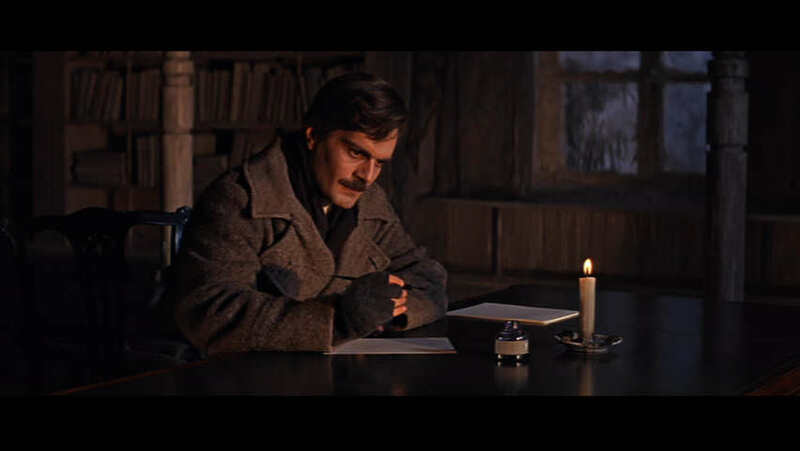 Certainly this is a romance, a love story set against the real ugliness and horror of the Bolshevik Revolution. 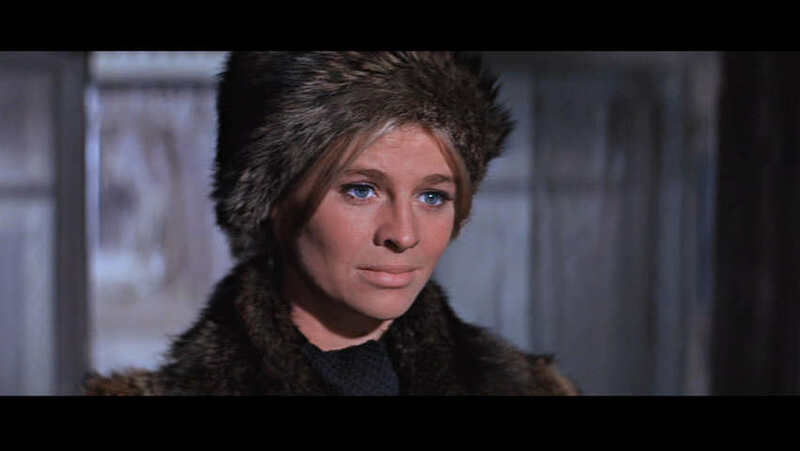 That Zhivago ultimately has an affair is, oddly, part of the romance. 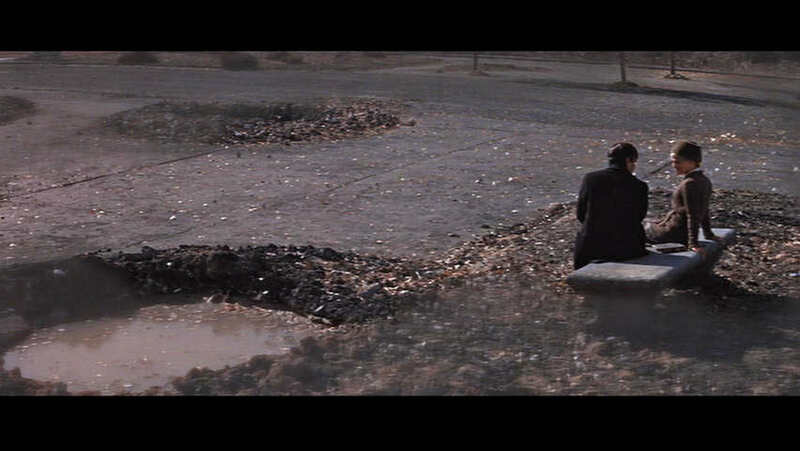 In film--unlike life--true love wins over integrity. Or perhaps film recognizes that human passion and biology aren't easily restrained by social conventions. 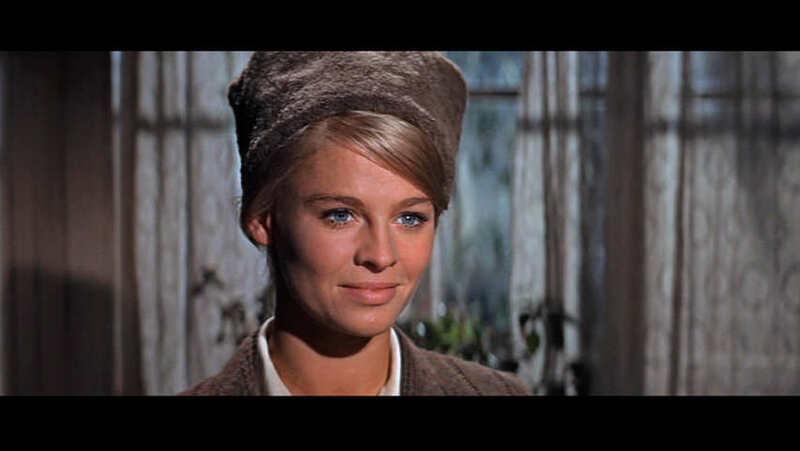 Regardless, there's more to Doctor Zhivago than illicit love. Komarovsky: You interested? I give her to you, Yuri Andreevich. Wedding gift. My jaw dropped when I watched that exchange. Despite the many beautiful scenes to capture, I decided to focus on just a few cast members. You'll have to rent the movie to see the rest. Virtually the same shot later in the film, but what a difference in expression, aided by makeup that ages her about ten years. 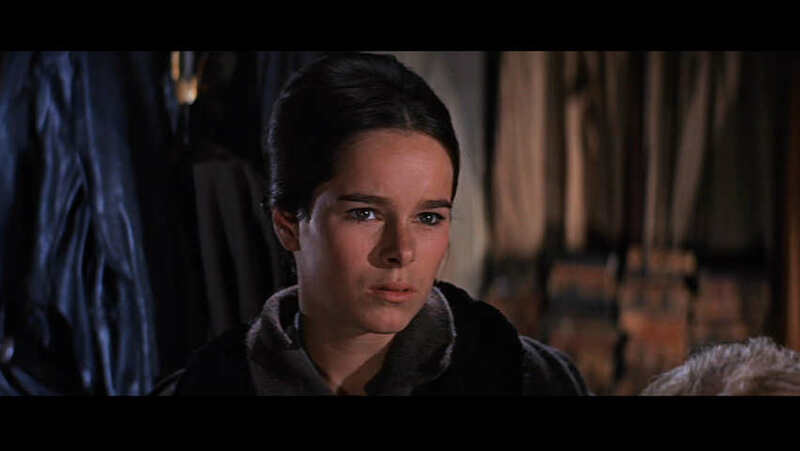 Geraldine Chaplin. Hell, I fell in love with her. 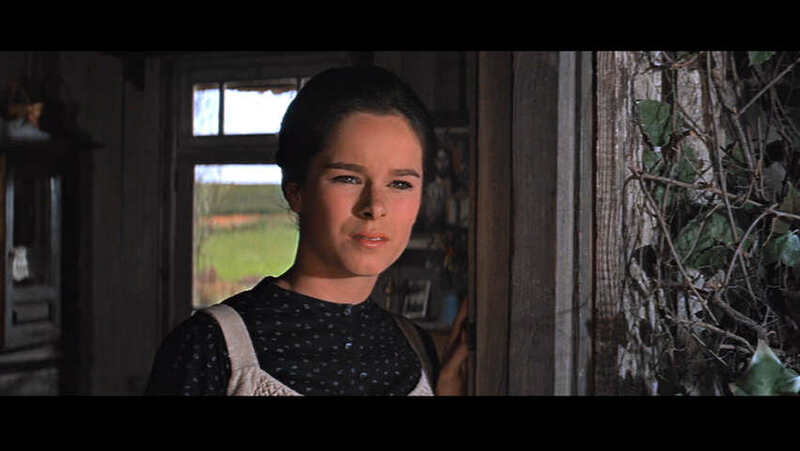 Here she reminds me of actress Jennifer Connelly.